Keswick Anglers Association (KAA) has wonderful fishing set in some of Cumbria’s most beautiful scenery. The Rivers Greta and Derwent offer superb, affordable fly fishing for native brown trout, together with angling for wild salmon and sea trout. 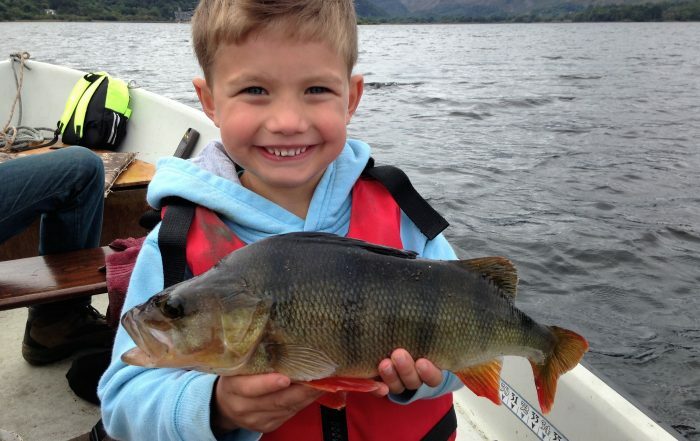 Mixed and coarse fishing for pike, lake trout, perch and other species is available on Derwentwater Lake surrounded by magnificent fells dominated by the well known peak of Skiddaw. 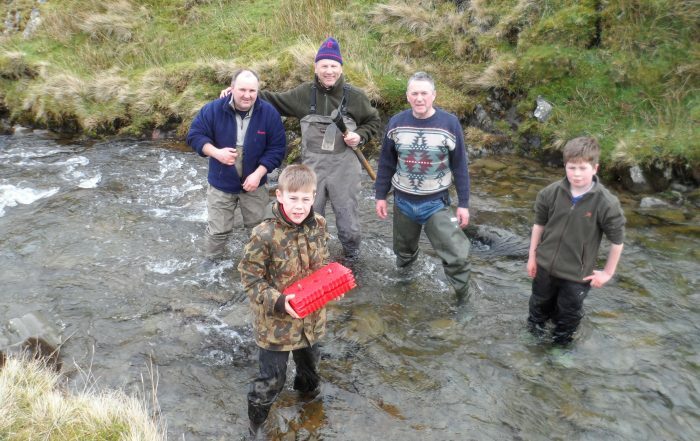 KAA which was established over 100 years ago, takes a keen interest in making sure that angling continues to be enjoyed in this part of the Lake District by both residents and visitors. We have an active juniors section, fly tying courses, fly fishing tuition and run the only hatchery on the Derwent catchment. Our members get involved in habitat improvement schemes and keep in touch with other angling associations, riparian owners, environmental and park authorities. There is a members exchange ticket arrangement with most of Cumbria’s other angling associations. Brown Trout, Sea Trout, Salmon, Perch and Pike. Find out more information about the fish swimming in our rivers. Derwentwater, River Greta and River Derwent. Find out exactly where you can fish with your Keswick Anglers Association permit. It is the duty of KAA to familiarise its members, officials and visiting anglers with the principals of safety and risk assessment. Login or apply for membership to the KAA. Login area gives members access to further info & upcoming events. Only 5 years old and his first fishing trip. 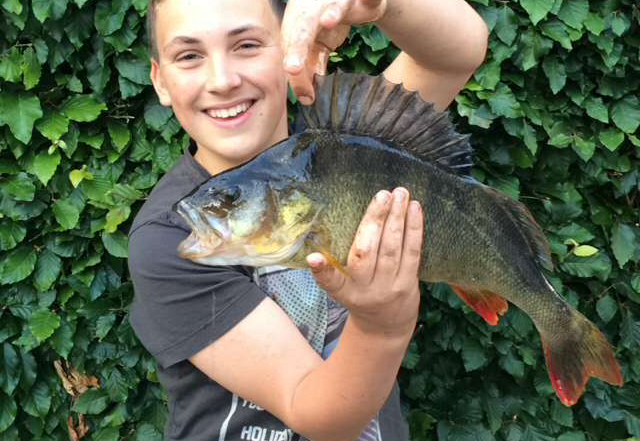 A fine perch caught on the worm on Derwentwater.